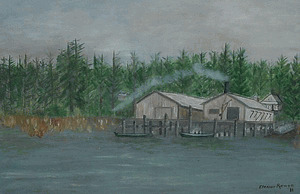 We began fishing and oystering at Chetlo Harbor, located on the south shore of Willapa Bay near the mouth of the Naselle River. Chetlo, or Jetlo, is Chinook Indian jargon meaning oyster. Eleanor M. Rowell. My father, John C. Rowell, was born next to the cannery in 1913. Our tradition started with my grandfather Douglas, a fisherman from Chetlo Harbor. 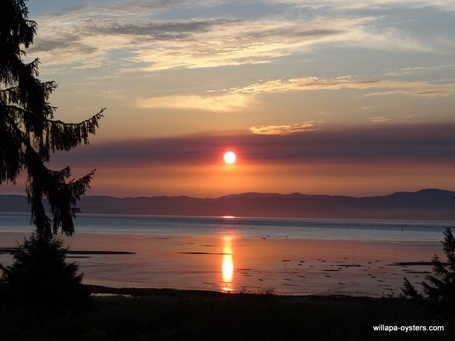 Our love for Willapa Bay, Oysterville and the finest oysters and clams is unchanged. 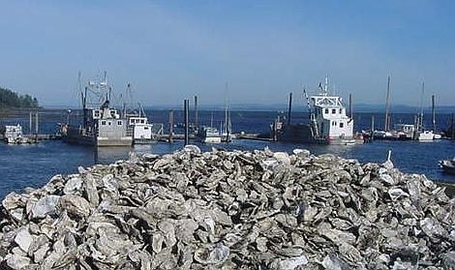 Our company, Oyster Holdings, Inc. was founded in 1993. For decades, my father's heavily laden platters of many dozens of freshly opened oysters and his famous smoked oysters were an anticipated delicious treat that was only available for family and close friends. Now, with the maturing of the Internet and overnight shipping, we can deliver our absolutely pure fresh shellfish directly to you, for your pleasure. We are proud of our traditions and dedicated to bringing you fresh absolutely pure shellfish grown in Willapa Bay.